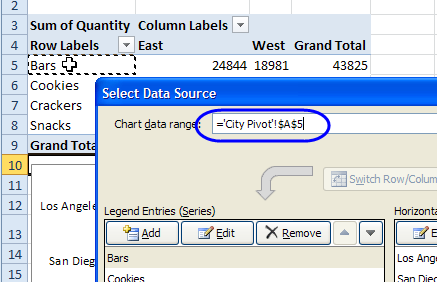 Create a pivot chart with shortcut keys, or create a pivot chart from the source data, before making a pivot table. 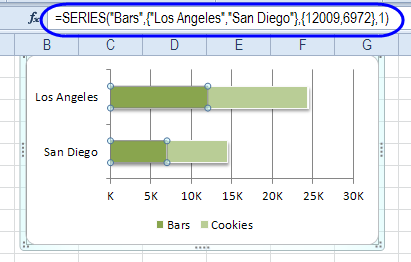 See how to change pivot chart source data, to connect to a different pivot table. To quickly create a pivot chart, you can use keyboard shortcuts, as shown in this short video tutorial. Written instructions are below the video. To quickly create a pivot chart, you can use one of the following shortcuts. The pivot chart will be in the default chart type. You can change to a different chart type, and adjust the chart's formatting. The chart below is a stacked bar chart, with the axis items in reverse order, and the axis crossing at the maximum value. 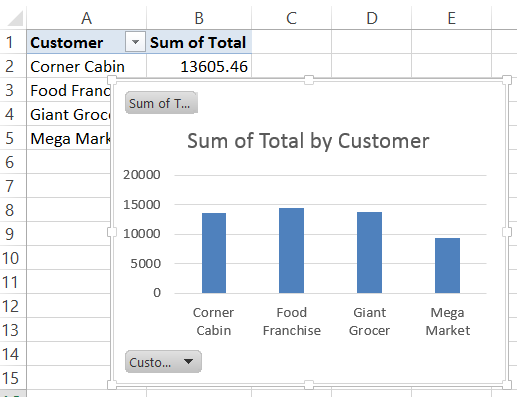 In Excel 2013 and later, you can create a pivot chart directly from the source data, without creating a pivot table first. The pivot chart will be inserted on a new worksheet, and its connected pivot table will be created on the same sheet. 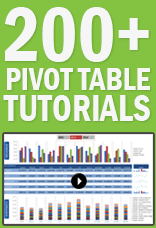 This is a useful technique if you've spent a long time setting up a pivot chart, with specific formatting, and you want to use a copy of that chart with a different pivot table. Click Select Data, to open the Select Data Source window. You can see the address of the chart's data range, but you can't make any changes to the range. Watch the video below, to see a workaround for this problem. The written instructions are below the video. Although you can't directly change the pivot chart source, you can follow a few easy steps, to make the change. Right-click the pivot chart's Chart area or border, and in the popup menu, click Copy. On the Ribbon, click the File tab, and click New, then create a new blank workbook. On the Ribbon, click the Home tab, and click Paste. If you click on a series in the pasted chart, you'll see the labels and values, instead of references to the original pivot table. The Ribbon tab says "Chart Tools" now, instead of "PivotChart Tools". 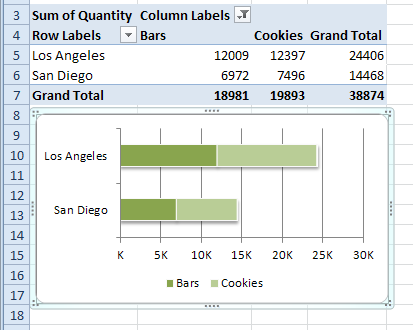 Next, you can link the chart to a different pivot table. Right-click the pivot chart's Chart area or border, and then in the popup menu, click Cut. 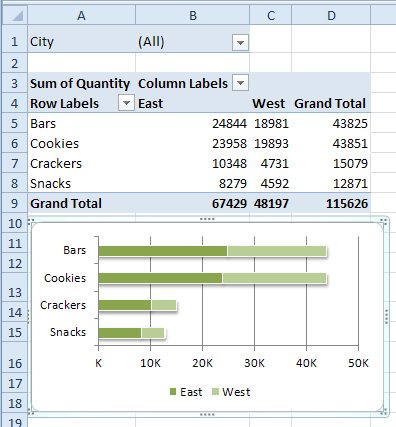 Switch to the workbook with the pivot table that you want to use as the chart's data source. Paste the chart back into the workbook, and delete the old copy of the chart. 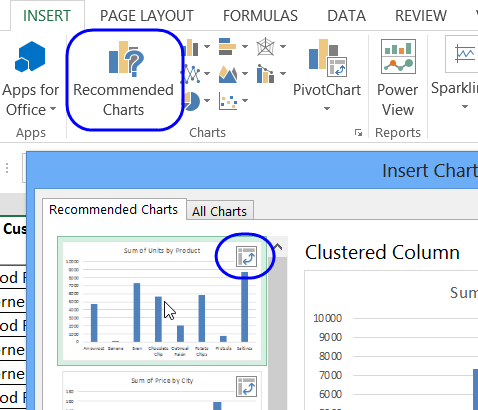 The static chart changes back to a pivot chart, and if you open the Select Data Source window again, you'll see the reference to the new pivot table. 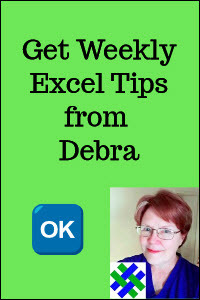 Download the Excel workbook to try techniques shown on this page. 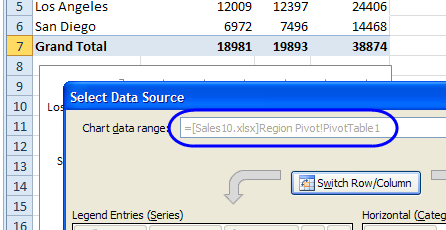 The zipped Pivot Chart Source Data workbook is in xlsx format, and does not contain macros.